A panoramic view with outstanding productivity features. Experience the panoramic 29" Dell UltraSharp U2913WM, featuring 2560 x 1080 Full HD, versatile connectivity and innovative productivity features. Panoramic clarity: Multitask on a panoramic 29" 21:9 display with Full HD 2560 x 1080 resolution. Extreme color accuracy: Enjoy precise colors calibrated at the factory to support more than 99 percent sRGB color space at a delta-E of less than 5. Easy manageability: Take control of innovative display functions such as Smart Video Enhance and Easy Arrange with Dell Display Manager. Surround yourself with panoramic widescreen. Navigate multiple applications at once and multitask like never before. A vast, 29" panoramic display with a 21:9 aspect ratio and 2560 x 1080 Full HD offers the screen space of side-by-side monitors without a distracting bezel in between. Plus, with a 178°/178° (typical) ultra-wide viewing angle, you can enjoy an excellent view from almost any position. Immerse yourself in vivid color. Experience remarkably precise and accurate color made possible by over 99 percent sRGB at a delta-E of less than 5, offering broad color variation. Plus, the U2913WM comes factory color-calibrated, so you can enjoy outstanding color accuracy right out of the box. Connect peripherals and make yourself comfortable. Make it work for you, with extensive connectivity such as DisplayPort 1.2, USB 3.0*, Mini DisplayPort, DVI and HDMI, plus highly adjustable tilt and swivel positioning, a 130mm height adjustability range and a VESA-compatible wall mounting option (mounting kit sold separately). 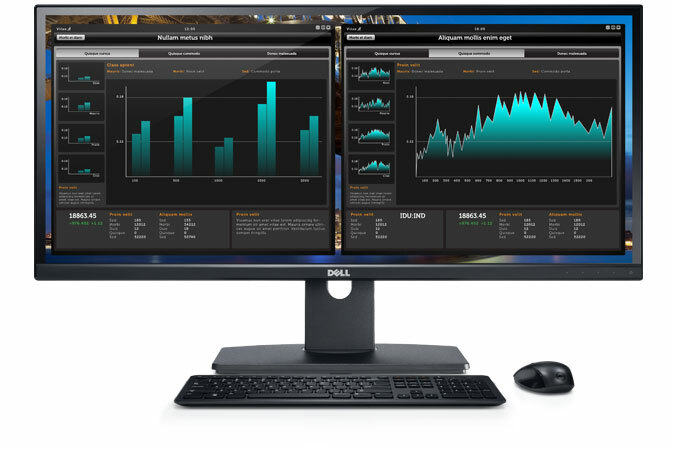 Work smart with Dell Display Manager. Synchronize your applications and improve your visual experience. 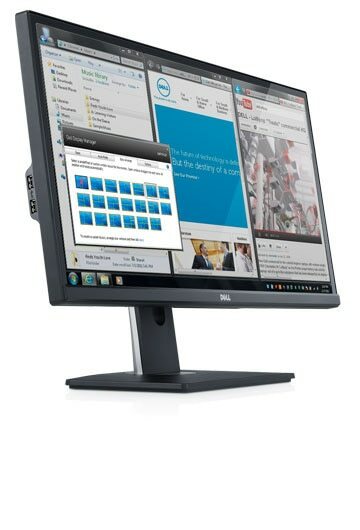 Dell Display Manager offers a variety of features that can optimize your media presentation and maximize your monitor’s real estate, such as Easy Arrange and Auto Mode. Your videos never looked so good. Automatically optimize your video settings with the Smart Video Enhance* feature, optimizing colors and sharpness for the best possible presentation. Choose Movie mode for recommended settings, or choose Advanced mode to manually adjust contrast, sharpness, color saturation and hue however you like. Contain costs and stay conscious of the environment. Stay energy-efficient with PowerNap and dynamic dimming features that automatically help regulate power usage. Plus, the U2913WM features an eco-conscious design with arsenic-free glass, mercury-free LED and BFR/PVC-free laminates in the chassis. The U2913WM is packed in eco-conscious recyclable packaging. Complete your Dell UltraSharp experience. Your Dell UltraSharp U2913WM is just the start. Look for these great additions when finalizing your purchase. Maximize your Dell UltraSharp U2913WM experience. Dell offers a variety of productivity software and peripherals, including printers, keyboards and mice. Shop Dell.com.